In today’s world, people are often faced with constant stress. What you don’t realize is stress tends to have significant harmful effects on the body, especially when it is unending. In particular, stress can compromise your adrenal glands and even trigger adrenal fatigue. And one of the best ways to relieve or even prevent this is by taking a closer look at the number of nutrients that goes into your body. Adrenal fatigue is a condition that is brought about by chronic or unending stress. Typically, the body is equipped to handle stress using its NeuroEndoMetabolic (NEM) stress response system. The NEM stress response system includes the adrenal glands, which is responsible for the production of cortisol, the body’s primary stress hormone. Typically, the cortisol aids the body in its fight or flight response to stress. To do this, it helps ensure that you have enough energy to deal with the situation. At the same time, it also suppresses functions that are not critically needed at the moment. This includes your body’s immune system. As the stress goes away, things start to return to normal as your cortisol level also drop. When the stress does not seem to stop though, your adrenals are forced to continue producing cortisol until it can no longer keep up with the demand. Because of this, you would find yourself suffering from hormonal imbalance, which triggers adrenal fatigue. At this point too, your body would be feeling significantly tired and weak. The symptoms may also continue to worsen if nothing is done to reverse the situation. In this case, one of the best way to start fighting the effects of adrenal exhaustion is by making more nutrients available to your body. By taking lots of essential vitamins, minerals, and other nutritional substances, your body can start to heal itself. As you may have realized by now, proper nutrition plays an important role when it comes to adrenal recovery. The type of foods you eat and how often you eat them can go a long way in helping you relieve any symptoms of adrenal fatigue. Keep in mind, however, that you may have some intolerance or allergy issues when it comes to certain foods. This is why it is highly recommended to consult with your physician first before trying anything new. You can also undergo an intolerance or allergy test to determine the foods you should not be consuming. As you may have realized by now, certain foods are much healthier than others, especially when it comes to adrenal fatigue. In fact, there are a number of foods that contain the nutrients your body needs to support adrenal health. For starters, brightly colored vegetables are highly recommended for adrenal recovery. These are rich in vitamins, minerals, phytonutrients, and antioxidants. Moreover, it is also worth noting that a study published in the Experimental and Clinical Endocrinology & Diabetes journal in 2015 found that an increased consumption of vegetables and fruits can help lower cortisol levels in the body. So, go ahead and enjoy your vegetables lightly steamed or even raw. At the same time, you may also want to start having some sea vegetables or seaweed. These can be easily digested for your stomach. At the same time, these foods also contain some trace nutrients that can help relieve adrenal exhaustion. Finally, add some whole grains to your diet which can help supply your body with necessary energy all throughout the day. Going for various sources of protein gives your body the best chance of having a more well-rounded nutrition. Have some legume, dairy, fish, fowl as well as some lean cuts of pork and beef. Eating several times during the day gives your body a more constant source of energy. This allows for your blood sugar levels to remain stable, preventing crashes and spikes. Ideally, you should be taking your first meal before 10 AM as your glycogen reserves are significantly low after sleeping all night. Have a light breakfast and then follow it up with a small snack just a couple of hours later. At the same time, you should also be sure to have another snack in the afternoon. This would help maintain optimal sugar levels in your body right before you have dinner. Meanwhile, it’s also equally important that you have a little snack before going to bed. This can be the form of nutritious soaked raw nuts. Especially when you are dealing with an advanced stage of adrenal fatigue, your aldosterone level is particularly low. And because of your lower aldosterone level, your body is not able to retain sodium. 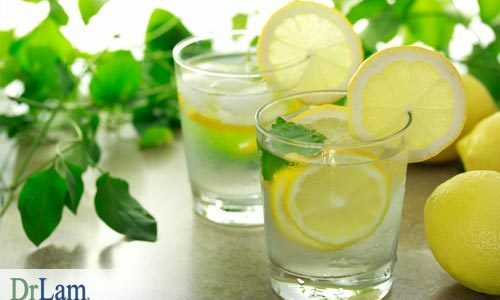 Therefore, you also tend to lose water in the body faster than normal. To counter this, you need to keep yourself hydrated throughout the day. 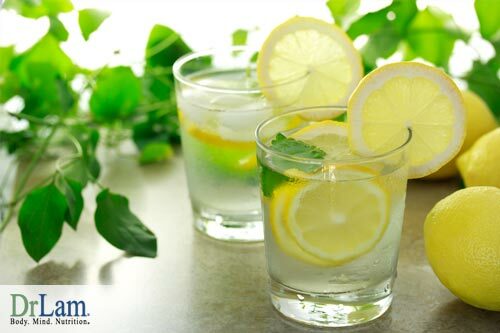 Bring a bottle of water with you wherever you go and be sure to take some sips regularly. Remember to keep all these tips in mind to help your body become more nutritionally ready to fight off adrenal exhaustion. On the other hand, you can also choose to take some supplements for adrenal fatigue to aid in your recovery. These typically contain a significant number of adrenal fatigue vitamins and minerals that your body needs. Just consult with your physician or nutritionist to know more about this. Nutrition plays a key role when it comes to adrenal recovery. There are a number of vitamins, minerals, and other nutritional substances that the body needs to support adrenal health. Dr. Michael Lam is a Western-trained physician who has made it his mission to ensure a better understanding of adrenal exhaustion and how it can impact your life.